SKU: E1WHDP. 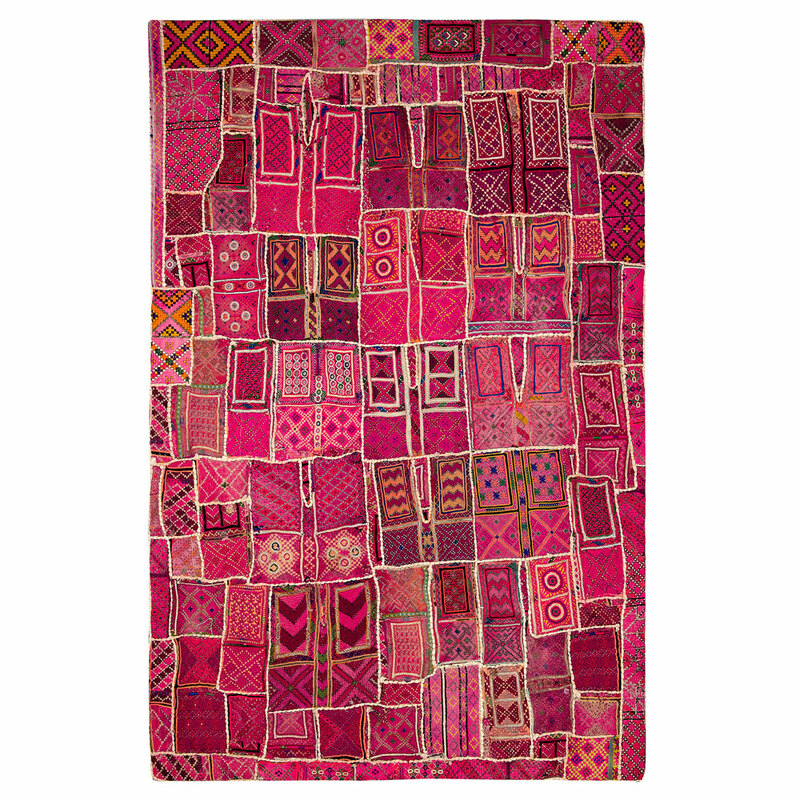 Category: Hand Embroidered Tribal Tapestry. Tags: embroidered wall hanging, exotic, gift, India, Kutch embroidery, one of a kind, preservation traditional craft, wedding gift, hand embroidered, tribal. 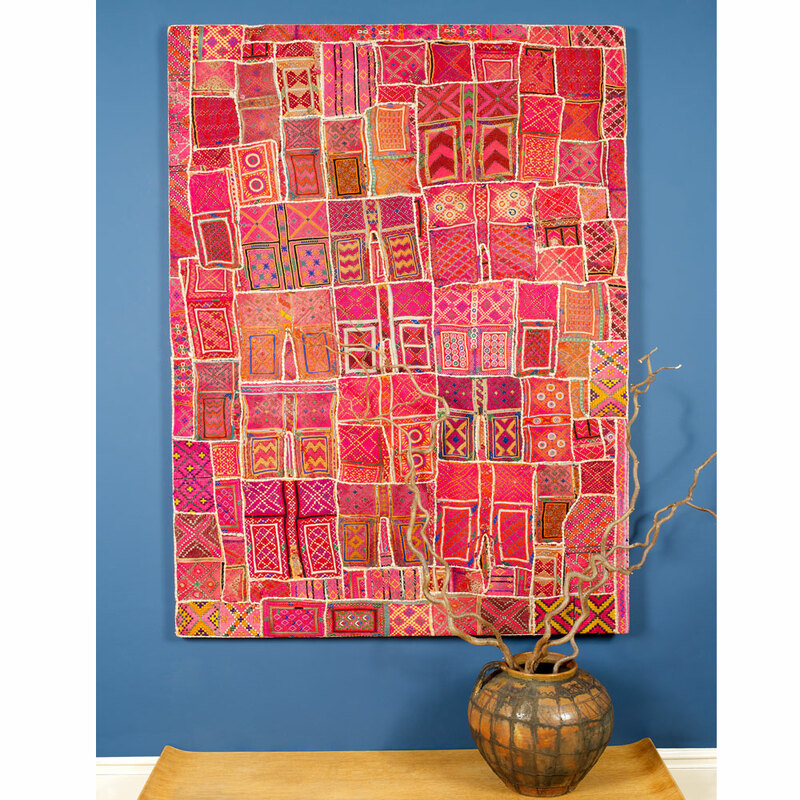 Create a statement with this,one of a kind, exotic collage of elaborately embroidered, vintage, tribal textiles. This stunning embroidered wall hanging consists of fragments from vintage ceremonial tunics hand embroidered by tribal women using stitches and motifs handed down from mother to daughter over generations. Rollover the photograph to see the intricate embroidery in more detail. The wall hanging has been stretched over a wooden frame and has a 2.3cm cream calico border. Email us at info@maudinteriors.com to discuss delivery options.